Friday morning we'll be off for the weekend to Hell's Canyon Motorcycle Rally 2010 in Eastern Oregon. I have to admit that I'm a little afraid. It's not a secret that I haven't been feeling my best these past 5 months, but that's not really what's bothering me. I'll load up on the B12 and whatever else I can to keep me going, but what scares the CRAP out of me is one of the rides that Jeff wants to go on while we're there. It's called The Devil's Tail, not the "Tail of the Dog", not the "Kitten's Tail" oh no, it's freaking called the "DEVIL'S TAIL." One of the demonizing great descriptions I've come across says that "it makes Deal's Gap look like child's play." Yeah, yeah, I know that most of you have no idea what the heck I'm talking about, but it's some scary BLEEP. The ride there should be beautiful and the ride back sensational, it's just the ride while we're there that has me petrified! Maybe Isabella and I will just hang around the town, meeting the vendors and seeing the sites while those more daring get intimate with the Devil's Tail. I thought I'd show you a few pics of Isabella's transformation. Maybe looking at her baby pictures and the way she is today will make me feel a bit nostalgic and I'll be ready to ride on Friday. Here she is fresh off of the showroom floor. That's little Jake showing her off. First long ride before the accident. 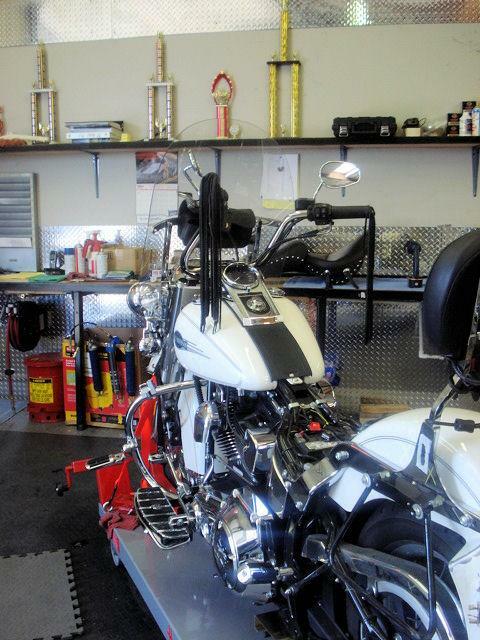 Being taken apart after the accident. She was totaled. I think that the pink skull is one of my favorite parts. 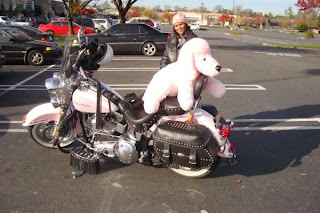 Nikki and I chose a huge pink poodle to take to the kids toy run. 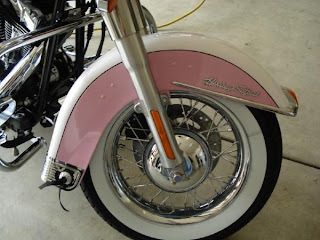 You should have seen everyone looking at two girls flying down the highway on a pink bike holding a huge pink poodle! Now that I've looked through pictures of my baby I'm looking forward to the trip. I'll make sure I have my camera available and IF I dare see the Devil's Tail I'll get some pictures. I lost all of my comments on this post when I tried to change comment providers. If you left one, I didn't reject it. Sorry about that...ugh! 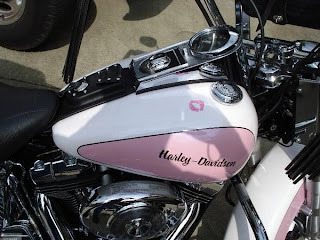 I do not have a motorcycle, but I want your pink one! I absolutely love it! oh my gosh , it is so cool! Oh boy, that sounds scary!! yikes. 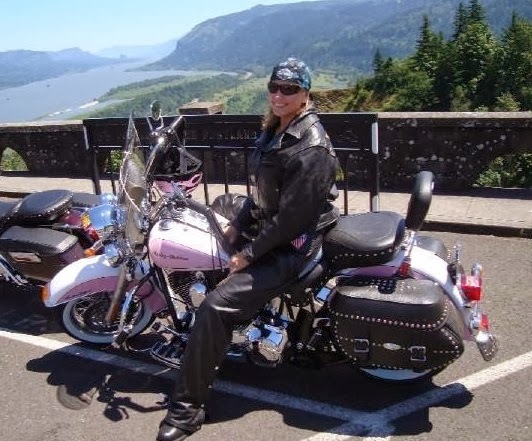 I am so jealous of your pink motorcycle! I love Isabella!!!! She's a beauty! Oh man. 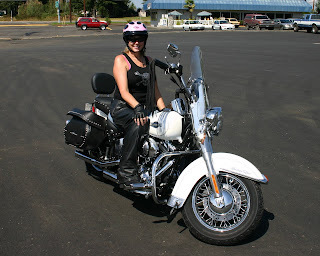 hubby would never let me have one as he is in a wheelchair because of one. Have fun and be safe. If you don't feel comfortable with it, then meet the folks in town. I'm sure you'll meet plenty of people saying as you an Isabella are both beauties! Aww, I love the pink. Have a wonderful time and I can't wait to see the pics when you get back. Gorgeous bike! Luv the pink and kiss! 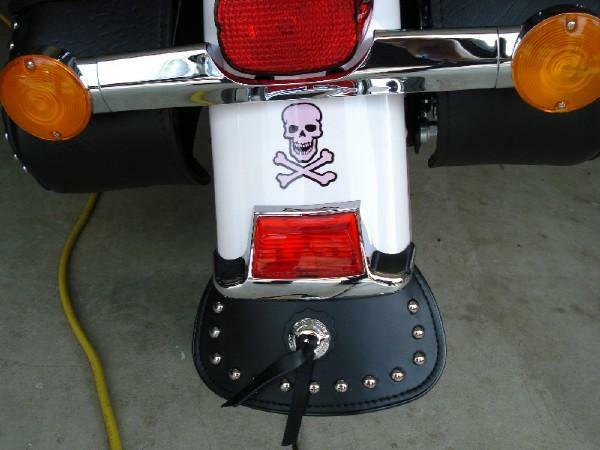 You riding a bike is more ballsey then me already, without the added Devels Tail! I would imagine it has earned that title. 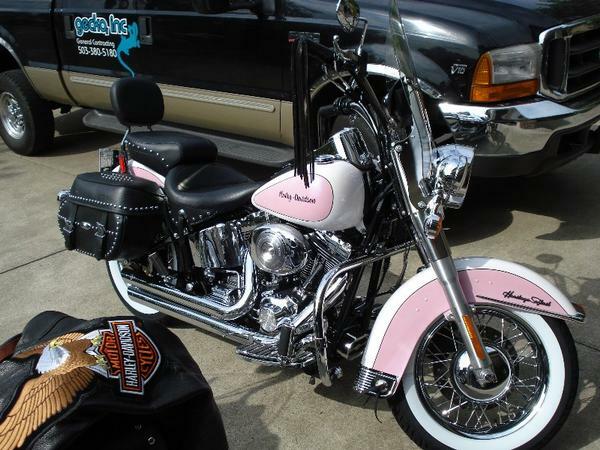 OK, if I was a biker chic I would so be diggin' your pink hog!!! I think shopping sounds so much better than the Devils Tail!!!!! Thanks for joining our bloghop today! We love that you joined us. Enjoy your ride on Friday! Oh thank you for the tips! I've heard about those shakes but I wasn't sure if they actual work on "real" people.. I'm totally going to check them out! OMG, she had me at the little pink kissy lips. Awesome! Just the name scares me!! Hope you have a wonderful time! Looking forward to hearing how it went! Have a safe trip! Wow! Be careful! I love your bike. 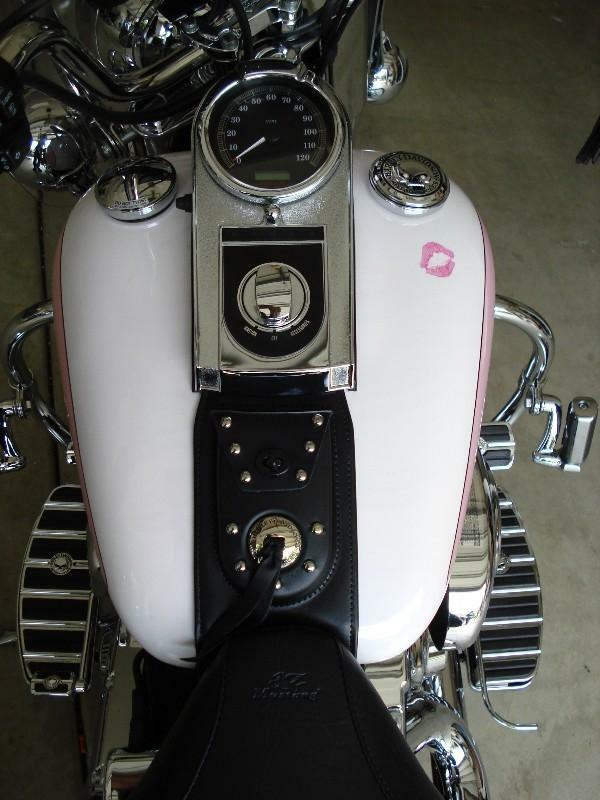 I love that it's pink, and my favorite part is the kiss! Good luck with Devil's Tail - I agree with Tammy, shopping sounds much better! Have fun! Try your best not to stress and have a great time! Have a great day! Pink Bike is awesome but I won't show it to my daughter or she will want one for sure! 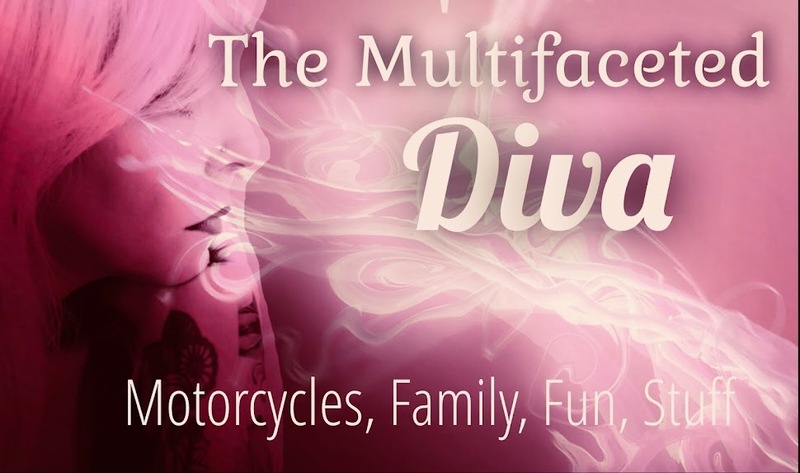 The problem is that ANY RIDE for her will feel like the Devil's tail. Be careful and good luck. Can't wait to hear some stories. W.C.C. Thank you Joseph. I need to get back into writing more. It's been too long! I need to concede that I'm somewhat apprehensive. It's not a mystery that I haven't been feeling my best these previous 5 months, however that is not by any stretch of the imagination what's annoying me. I'll load up on the B12 and whatever else I can to keep me going, yet what terrifies the CRAP out of me is one of the rides that Jeff needs to go on while we're there.